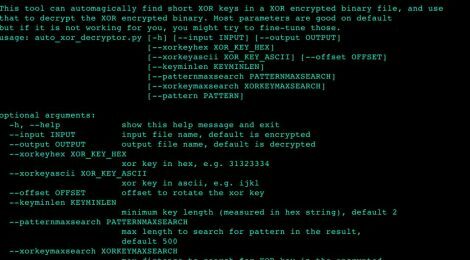 Browse: Home / Automatic XOR decryptor tool. 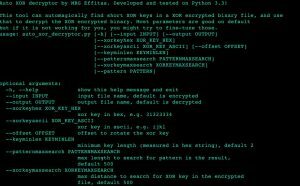 This tool can automagically find short XOR keys in a XOR encrypted binary file, and use that to decrypt the XOR encrypted binary. Most parameters are good on default but if it is not working for you, you might try to fine-tune those. ← idb v2.9.1 – iOS App Security Assessment Tool and research.